***Huge SAVINGS!! *** Audi Q5 TDI Prem Plus Quattro... Turbo Diesel, Nav, B&O, Camera, Pano & more!! Turbo DIESEL... PREMIUM Plus... Compare and SAVE!! 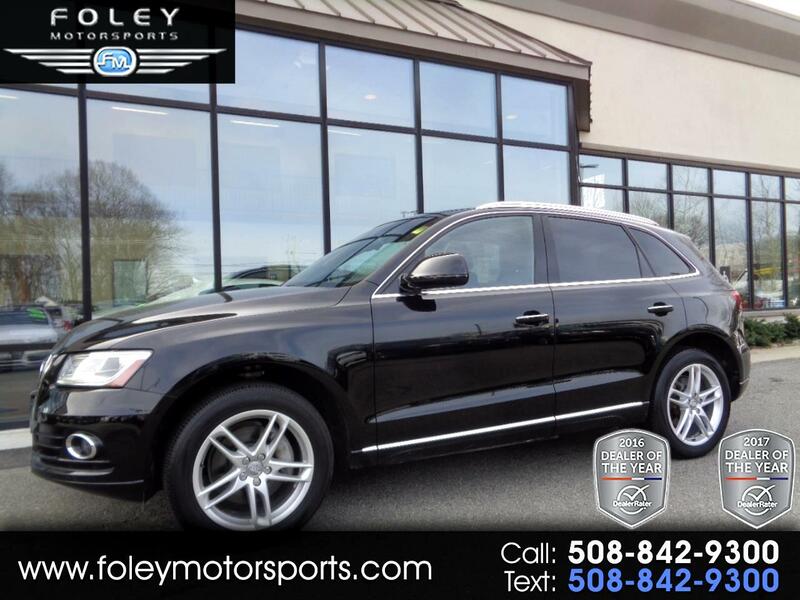 2015 Audi Q5 TDI Premium Plus Quattro Sport Utility... Brilliant Black on Chestnut Brown Leather Interior... 240hp 3.0L V6 DOHC 24V Turbocharged DIESEL Engine... ALL Wheel Drive... AUTOMATIC Transmission... LOADED... PREMIUM Plus Model... Audi NAVIGATION Package... BANG and OLUFSEN Premium Sound System... PANORAMIC Sunroof... 19'' 5-arm Star Design Wheels... Audi SIDE Assist... KEYLESS Ignition and Entry... Rearview CAMERA... HEATED and Ventilated Front Seats... TOW Package... EXCELLENT Condition... Audi BUMPER to BUMPER Warranty... ONLY 52,433 Miles!! Please feel free to contact our experienced sales team with ANY questions or to schedule a test drive. Buy with confidence from the area LEADER in Pre-Owned LUXURY. Additional 5 Year/100K Extended Warranty Coverage Available. ALL of our vehicles are meticulously detailed and serviced by our factory trained certified technicians. Call or email us at sales@rjfoley.com **$0 Down** 100% financing available with great rates! Trades are always welcome. National and International shipping quotes are available.